So, it's been a bit since I posted in this space. Ok, it's been a long time. But hear me out, I have good reason as to why I've been so quiet. ...my very first self-published book, The Perpetual Visitor: A Field Guide for Everyday Artists! "Let’s reclaim our creativity and get back to our highest purpose here on earth: to tell stories, to listen deeply, to create the things we dream of, to express ourselves in a way that leaves logic behind and lets us leap into a different kind of life —a life in which we don’t need to conjure meaning out of thin air but rather tune in to our own soul to connect with and release the magic that already lives within." For a long time, I searched for a book that offered reflections about how to live a creative life with a day job and how to pursue big dreams without having to get a divorce and move to another country. I wanted to read a book by a peer, someone who hadn't "made it", become famous, and had it all figured out. Someone with a desire to create beauty in the world and just kept showing up again and again and again, figuring it out along the way. I didn't really find that book, so more than five years ago, I started writing it. I pitched it to several book agents, one of whom which told me that he liked the idea but that I should reconnect with him when I had a bigger Twitter or Instagram following. I'm not interested in spending my time recruiting hundreds of thousands of strangers to pay attention to my social media posts, so I am publishing this book myself. This book is a love letter to a life spent expressing yourself through creativity and play. It's a testament to the challenges that we face along this path, and a toolkit for anyone seeking strategies to help infuse their days with more joy and art. Whether you are an actor, a writer, a painter, a poet, a dancer, or the world's most enthusiastic chocolate chip cookie baker, this book is for you. And if you are someone that doesn't self-identify as creative? This book is for you, too. 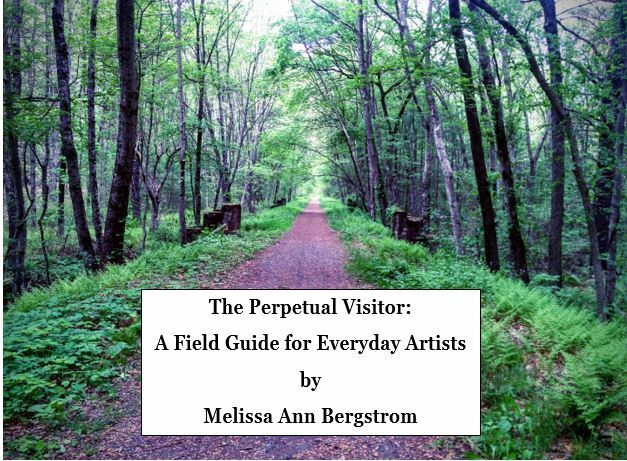 The Perpetual Visitor: A Field Guide for Everyday Artists will be available via Amazon in both Kindle and paperback versions on May 1st, and I'll post the links once it's up. So excited to have you read what's been rolling around in my brain for the last several years. THANK YOU to my incredible community of creative souls who offer such endless love and support. I don't think I couldn't have kept this project going without you! We all hit a wall sometimes. The Wall. An inspired idea that leads to a creative drought. A full season of projects followed by burnout. Taking the first few steps of a new adventure and then losing motivation. Sound familiar? I often feel like hitting The Wall is a sure sign of failure, like the little buzzer that goes off when you've lost. "Game over!" It can feel like the task was to bust through The Wall and leave as much distance between it and you as you possibly can, riding off into the successful sunset leaving a pile of rubble in the dust behind you. 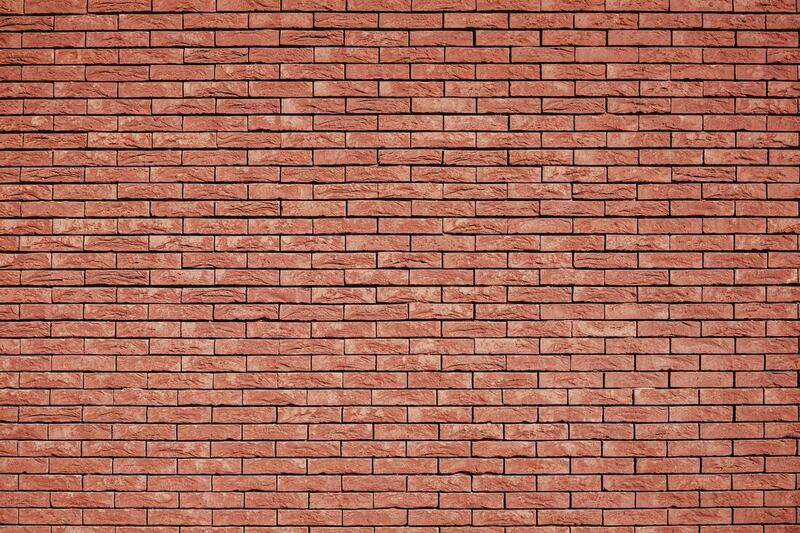 My therapist recently said something that made me consider how I might consider The Wall differently. "If your definition of success or progress is to not hit a wall, you're setting yourself up to fail every time. We're human. It's not if we have a wall, it's when." Damn it. Why could I just figure out the secret to blasting through The Wall and make sure I got so good at avoiding, demolishing, or escaping from The Wall that I never had to feel scared, unmotivated, or unsure ever again? If The Wall was always going to be there, how in the world would I ever feel like I'm making progress or have anything to celebrate? "What if progress meant not making The Wall disappear, but not giving up on finding ways to get creative with how you choose to face the Wall?" Do we want to hit The Wall? No. Will we hit The Wall? Yes. Do we want to feel successful and celebrate our victories? Of course. It's often news to me, but I'm a human being. So are you. We can make choices each day about our lives AND we must learn to surrender to things outside our control. The Wall will always meet us on the road to creative satisfaction. It's always waiting for us. We're not going to stop that rendezvous from happening, but we can choose to get creative with how we meet and greet The Wall. What if we could redefine and reclaim what it means to experience a victory, breakthrough, and celebrate our hard work and play? Ok, so we work on accepting that The Wall will show up for us many times in our lives. Progress. Now that we are standing at The Wall, our first instinct might be to blast through it, blowing the bricks to smithereens and leaving us standing like a hero who conquered all. The Wall rarely responds to sheer blasting force. The Wall continues to stand. Here's where I get angry, rage against The Wall and convince myself I'm never getting past it. It's easy to get stuck in this rage, in this fear, in this despair. It's understandable and even vital that we let ourselves feel all these feelings we have about The Wall. But then we must try something. if we can't blast through The Wall, what happens if we try to climb it? Dig underneath it? Find a loose brick to glimpse the other side? Can we toss a rope over the top? Stand on a ladder and peek over? Hell, if there's nothing else we can think of to do, how about finding some chalk or paint and making a mural about how it feels to be staring down this damn Wall? Motivating ourselves to keep looking for ways to face The Wall doesn't guarantee "success" or promise that we won't still feel frustrated. But giving ourselves the permission to make different choices again and again about how we deal with what's in front of us does mean that no matter what happens, we are actively participating in our own creative growth and education. Even if climbing The Wall doesn't work, it will provide us with new information; about The Wall and about ourselves. And more self knowledge is part of this whole crazy creative experiment called life. If you're struggling with a personal or creative Wall right now, I hear you. I am struggling, too. Feel what you feel and don't feel bad about admitting that it is hard as hell sometimes to keep going. And realize that you aren't alone and that your imagination and creativity are two beautiful gifts that can allow you to imagine an outcome where you allow yourself to make a different choice about how to move forward and ultimately learn what you are made of. This creative life isn't a sprint. It's a marathon. Life is short. But we have plenty of time to be patient with ourselves as we explore the choices we do have. It's always tempting to make resolutions for a New Year. It can be a hard time of year if you're feeling depressed, anxious, sad, or generally unsure about what comes next. I gave a lot of thought to what my resolutions might be for 2019. True, there's so many creative projects that I want to work on and meditation goals and mental health progress I want to make and at the same time, my gut says that the last thing I need are resolutions disguised as a festive to-do list that heaps even more pressure upon my currently full but sometimes self-critical heart. It's painful to feel like you're failing to be ambitious or motivated enough or feeling as grateful as you feel you should be. What if we were able to make room for these feelings tonite and just let them be there? No guilt, no needing to plan a fabulous year ahead or even know what you're going to eat for breakfast tomorrow. What if we simply allowed ourselves to feel what we are feeling right this moment? We always want things to be OR. Gratitude OR despair. Love OR hate. Inspiration OR depression. What if we allowed ourselves to feel confusion AND curiosity AND grief AND hope for the next twelve months? The human heart knows not of the rules we fashion for how we think we should feel. It's all in there swimming around together. I am starting to think that's ok? And if that's ok and we don't have to spend our precious energy fighting ourselves, putting things into categories, locking some things away to keep forever and banishing other things, desperate to cut them out of us for good, what would we have the energy to do? To see? To make? To BE? Gosh, I really want to know. This night and tomorrow and the days after, I'm going to see what happens if the only resolution I make is to allow it all: feelings, fears, thoughts, and on and on. I'm sick of grinding myself down in the name of motivation, progress, perfection, and getting upset because I fail to live up to a standard that is super-human and therefore impossible. 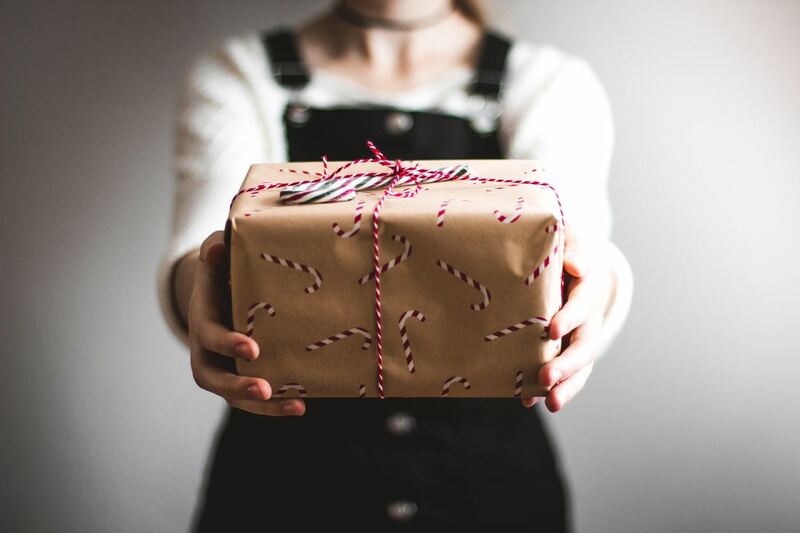 I'm a human (so are you) and perhaps giving myself the gift of being human is the belated Christmas gift that I didn't know I wanted and needed. When (not if) I fail at and get frustrated with this goal, I will allow those feelings, too. In those moments, I will kindle and rekindle the fire in my heart with theatre and poetry and music and wonder and good food and people I love and my sweet cat and big dreams, and kindle it yet again when it burns out and grows cold for the upteenth time. I want to know what happens if I forgive myself the anger that arises when I can't do something fast enough, well enough, and when I feel like I myself am not enough. I want to see what it's like if I greet whatever comes up with "Well, hey there. Come on in, you're welcome here", even if I am feeling stingy and want to throw a tantrum and make that thought or feeling to leave and never show it's face ever again. So much of my suffering comes not from the things that happen to me (getting sick, accruing debt, the different phases of friend and family relationships, a professional hardship, a creative block) but to how I punish myself for the things that are inevitable for all of us in life from time to time. There's a Buddhist story of the two arrows: when something painful happens to us, that's the first arrow. It's not our fault and we have a right to feel that pain that results from said event. But we shoot ourselves with the second arrow when we choose to punish ourselves for the thing that wasn't our fault in the first place. "How could I be so stupid? How dare I feel that way? How could I be such a failure?" All second arrows, shot at ourselves. I'm going to try to lay down my bow and arrow and give myself a chance to heal from all the times I've wounded myself. Call a truce, see what it's like to wave the white flag of surrender. Allow it all to just exist as it is. As violinist Itzhak Perlman said “Sometimes it is the artist's task to find out how much music you can still make with what you have left.” Maybe that's our task as human beings, too. Maybe our job isn't to stop all the painful feelings from coming, but to notice them, love ourselves not despite but because of them, and lay the hurts in the pile alongside the pieces of joy we've collected and from this pile of tangled treasure, believing that there is gold waiting to be found and shared with someone else who also needs a reminder of the beauty that lay inside the rubble. There's magic in this mess that's YOU. It might be time that we learn to love going emotional and spiritual dumpster diving. There's no knowing what we might find. Happy New Year, Friends. I hope everyone is enjoying a holiday season that's hopefully a little simpler and a little slower. It can be hard to slow down but I'm doing my best to put a few creative projects on the back burner for the next week or so; I am trusting that they will keep bubbling away, happy to wait for me while I catch up on sleep, laundry, and generally being a human after a full fall of a new day job, performing, and teaching. I'm so excited about the New Year and all the things I want to make, but right now? I need to take care of my human self. Without her, my creative self doesn't exist. Go to bed 30 minutes earlier tonite. Pick up a book that is begging to be read. Wash and fold your laundry. Lay on your couch and stare at the ceiling for awhile. Have a guilt free movie marathon in your pajamas. Curl up in your very own fort of pillows and blankets and let go of the world and your worries, even if only for five minutes. "I, (fill in your name) give myself permission to rest, relax, and take a step back from my creative projects over the holidays. I give myself permission to trust this will make me a lighter, more imaginative, healthier version of myself--the human and the creative." Only when we take a time out can we return with more clarity, curiosity, passion, and purpose. No one can go 365 days a year, so let's make this season a time to say yes to sustainability. This creative path is a marathon, not a sprint. Wishing you a restorative holiday season my friends. I'll see you in 2019!